Thanksgiving is a special time at MacDonald Highlands. The surrounding area is filled with the delicious aroma of roasting turkey, baked yams and pumpkin pie. And residents bring together their families in their beautiful homes. It’s a lovely experience. We want all of our residents to have a stress free Thanksgiving, so we’ve provided a few Thanksgiving tips to make the 2016 Thanksgiving in Las Vegas the best. When you’re living a luxury lifestyle in Las Vegas, act accordingly. Plan a high-end Thanksgiving dinner. While some people pride themselves on their cooking, others don’t have the time. Cut out the major stress of Thanksgiving by hiring a personal chef. Thanksgiving is especially fun for adults since we get a four-day weekend. Because of this, some will imbibe on particularly intoxicating libations. As the host, control the flow of alcohol during the entire dinner. You wouldn’t want guests to become intoxicated before you serve the main meal. Or worse, right before they have to leave. 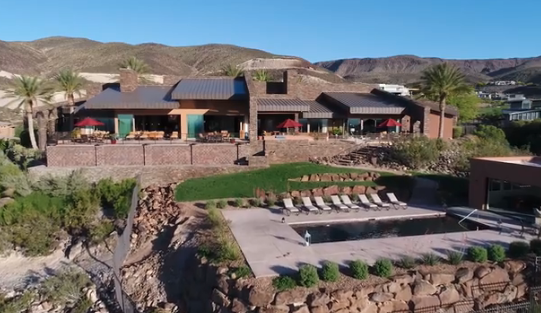 If you find for some strange reason your luxury home is lacking in its hosting capabilities, there’s the DragonRidge Country Club. This location has a stunning view of the DragonRidge Golf Course and with the Las Vegas skyline. DragonRidge can also accommodate large parties comfortably, so there are no worries. However, act fast. While you may have planned to have your Thanksgiving at the country club, it’s in high demand. Book it before someone else gets the chance to. NEED A PLACE FOR THE HOLIDAYS? We hope we’ve helped give you ideas for a high-end Thanksgiving. However, if your concern is not having a place to live, our Las Vegas real estate agents can help. Experience paradise today at MacDonald Highlands.